Your winery invests lots of time, effort, and expertise to create a line of beverages that people love to drink. But perfecting great drinks is only one aspect of selling them. Are your wine labels a seamless fit with your winery’s wants and needs, or could you benefit from using unique wine labels? Before you answer, let’s take a look at some of the advantages of using custom labels. Wineries bottle their products in different container sizes that range from single servings to gigantic novelty bottles that hold enough drink to make a fleet of pirates tipsy. Regardless of how large or small bottles are, we can create labels that cohere with the size and shape of the bottle to create a cohesive, striking aesthetic. When it comes to label sizes, the sky is the limit. Wine is found in ice filled buckets at outdoor events in summer. The beverage is also popular at holiday celebrations in cold weather. 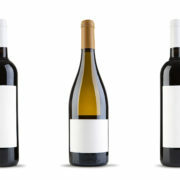 Whether you produce special cuvées for a particular season, or you want your permanent line of wines to have an all-weather appeal that doesn’t include temporary label changes, we can create unique wine labels that communicate the message you want to send, and make the container stand out on store shelves. Wine is one of the most popular beverages at celebratory events worldwide, from art gallery openings to New Year’s celebrations. To help you market your wine to different events throughout the year, we can provide wine labels that are specially designed to commemorate the events by displaying text and graphics that call attention to the festivities. Many wine bottles contain paper labels — a wine labeling practice that has spanned centuries. However, when paper wine labels were first applied, wineries didn’t have the option of choosing synthetic labels instead. Synthetic labels offer prints that are exceptionally crisp and clean, regardless of the design on the label. In addition, synthetic labels often stand up to moderate wear and tear, as might occasionally occur in a freight shipping compartment, better than fibrous, paper labels. Water resistant labels are usually synthetic labels that are impermeable to moisture and are placed on the wine bottle using a water resistant adhesive. These labeling technologies are great for wine bottles that are placed in wine buckets that are full of ice. The wine label remains highly readable and stays firmly in place, allowing drinkers to see exactly what type of wine they hold, and presenting them with a finely designed label that encourages brand identification and customer allegiance. If you can’t seem to find a label supplier whose solutions perfectly match your needs, there’s a good chance that you’re in the market for custom wine labels. The options listed above are just some of the many capacities in which we can produce unique wine labels that have a customized appeal. To inquire about our products and services, or to place an order, please call us today at (262) 790-2740, or use the contact form on our website. 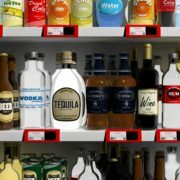 We look forward to helping you find the best label solutions for your fine beverages. Diehard consumers often embrace the idea that “bigger is better”. In many cases, they’re right, but the size of craft beer breweries is a notable exception. While it’s true that many craft brew operations have increased in both size and product distribution, there are also hundreds of small breweries that are just getting their feet wet in the beverage business. We help support these businesses by supplying small brewery labels that exhibit excellent label quality and can be implemented on a highly affordable model. Below are five ways you can benefit from using our readymade or custom designed small brewery labels. After you finalize the design characteristics for your labels, you can order them from us on an as-needed basis — also known as on-demand printing. This lets you avoid paying for more labels than you currently need, and it’s also a perfect option for seasonal brews that have a short run, but are offered season after season. Is your brewery small enough not to need a production line for canning or bottling? If so, we’re a great option for receiving your labels. Get your labels on sheets that make them easy to peel and apply. The labels can contain a special adhesive that keeps them firmly in place, until they are peeled away. This feature helps reduce the cost of human error in the labeling process. If your brewery produces enough units that labeling them by hand is inefficient, and you’ve implemented a production line to handle canning and bottling and label placement, we can supply readymade and custom labels that synchronize with your automated labeling process. Order machine applied labels on-demand to minimize costs or in bulk sizes to save on cost per label. Each year, the beer industry launches hundreds of seasonal products in the U.S. alone. Oktoberfest brews, summertime shandies, and robust, winter ales are common examples. The drinks often have unique labeling that’s designed with seasonal aesthetics in mind, as well as names the season inspires. We help you sell seasonal brews by supplying eye catching, custom designed labels for the season. Specialty beer is made for hundreds of events annually, including Oktoberfest, Mardi Gras, and national beer competitions, just to name a few. We supply custom labels that are specially designed for the event in question. An event-based craft brew can earn it brewer a large chunk of revenue in a short period of time, and our labels help make it possible. Flexo-Graphics is a label printing specialist with more than 30 years of experience serving the industrial, consumer, food and beverage, automotive, and appliance sectors. Since the craft beer market exploded and hundreds of small breweries took flight, we’ve helped small breweries sell their carefully crafted libations by supplying small brewery labels that breweries can implement economically, and feel confident about how the label represents their brand. 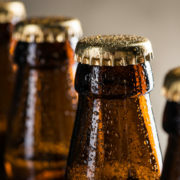 To get started on implementing small brewery labels that can help your beers make a quick pit stop on store shelves before consumers snap them up, call us today at (262) 790-2740, or use the contact form on our website. When we think of flexibility, we often perceive it in a qualitative sense, such as a person who’s flexible to perform additional duties for his or her employer that don’t match the job description. But when it comes to product packaging, flexibility is perceived quantitatively, as well. A perfect example of this dual approach to product packaging can be seen flexible packaging, which is packaging that is physically flexible. The packaging is qualitatively designed with the interests of customers in mind and presented in a design that is literally quite flexible. Flexible packaging isn’t new. Some companies that sell products that perform well under pressure have used it for many decades. But flexible packaging is far from a finite science. As the packaging trends below demonstrate, flexible product packaging continues to evolve. Many companies, both large and small, are turning to short run digitally printed flexible packaging. These companies see short run printing options as a way to bring flexible products to market with minimal setup costs; at the same time avoiding the large minimum order quantities of tradition flexible packaging production runs. 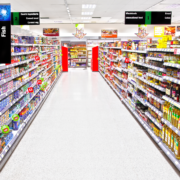 Companies also see short run digital production as a way to accommodate the national trend of more skus per product line without the costly expenses of plates. Flexible packaging often makes use of resealable seals, which perform their function by virtue of temporary adhesive that stays in firmly place until it’s manually peeled away with ease. Using temporary adhesive to create the seal requires less effort from the end user. Instead of tediously pressing together ziplock seals, the customer only needs to place the package opening in its original position to ensure that the product is sealed airtight to help preserve freshness. This trend is particularly applicable to foodstuffs that have a designated portion size according to FDA standards. 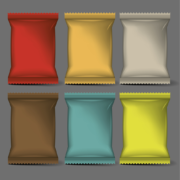 Flexible packaging can be used to create containers that house several servings in individual units, or used to make individual packages that contain the recommended serving. Because the packaging is flexible, the serving size remains in tact when the package is repeatedly accessed. Customers who prefer standard portion sizes get exactly what they want. Flexible packaging is also an ideal solution for products that are carried on the go, as the products are commonly placed in carry alongs that expose the packaging to wear and tear. In terms of portability, rigid product packaging can be used in the same capacity as flexible packaging, but the latter type of packaging is the preferred solution because it stands up better to the physical stress that the package experiences as it is ported from here to there. Need Printing for Short Run Flexible Packaging? If so, you’ve come to the right place. Flexo-Graphics is a long time, customer focused provider of product branding and identification solutions. We have over 30 years of experience in product packaging print solutions, including flexible packaging for a variety of products. To learn about our services, call us today at (262) 790-2740, or fill out the contact form on website. We look forward to helping you implement packaging that’s perfect for your products.